Note: this was given by Dr. Tak Utsumi on the acceptance of the prestigious Lord Perry Award for Excellence in Distance Education from the University of the World in San Antonio, Texas on November 1, 1994. The Lord Perry Award is the highest honor conveyed upon those who are stretching the limits of technology to support the fast growing field of distance education. It is my great honor to receive a Lord Perry Award for the Excellence in Distance Education, and to join the distinguished group of prior recipients, Professor Yash Pal, Dr. Arthur C. Clarke, and Ambassador Jose Chaves. I would like to wholeheartedly congratulate Dr. Jim Miller, Lord Perry, and the members of the University of the World for this outstanding award system. This award gives credibility to the fledgling academic field of global electronic distance education. It also encourages our colleagues who are now striving for its spread to every corner of the world with the use of various telecom media for betterment of mankind and world peace keeping in the 21st century. At this memorable occasion, I would also like to express my sincere gratitude to our electronic colleagues around the world for their continuing mutual encouragement, extraordinary help and cooperation, and generous "in- kind" service support to my long-standing dreams of establishing a Global (electronic) University (GU) system and a conduct of Globally Collaborative Environmental Peace Gaming through Global Neural Computer Network of the Global Brain. Therefore, this honor should be shared with all of them. I am very happy to have this opportunity to briefly describe our Global (electronic) University system project and its underling philosophy. Global (electronic) University (GU) (TM) consortium seeks to improve the quality and availability of international educational exchange through the use of telecommunication and information technologies. Its main activity is to achieve global electronic education across national boundaries by developing a cooperative infrastructure and by bringing the powers and resources of telecommunications to ordinary citizens around the world. Another goal of Global University is to empower under-served people of the Third World by giving them access to the educational excellence available at the institutions of the more developed. Students could access some of the world's finest resources with a far greater variety of educational philosophies, courses and instructional styles than they could ever encounter on a single campus. This is "the 21st century version of Fulbright exchange program." This system is a corollary to many U.S. distance education organizations which now extend their educational services across state boundaries. An outstanding example among them is the National Technological University (NTU), which President, Dr. Lionel Baldwin, is the key person for its success and who is one of the distinguished board members of the University of the World. How did I come up this idea of establishing a Global (electronic) University? I had an honor and privilege to establish the Summer Computer Simulation Conference (SCSC) of the Society of Computer Simulation International, both of which I named. I served as Program and General Chairmen in 1970 and 1971, respectively. 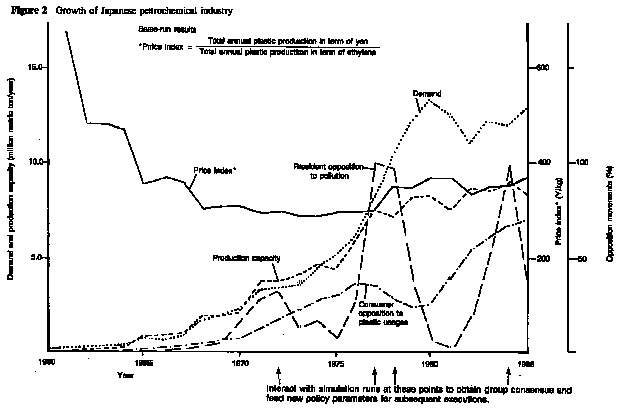 At the 1971 SCSC, I got my idea of a Globally Cooperative Peace Gaming on Energy, Resources and Environmental system which I presented at the First International Conference on Computer Communications in Washington, D.C., in 1972. 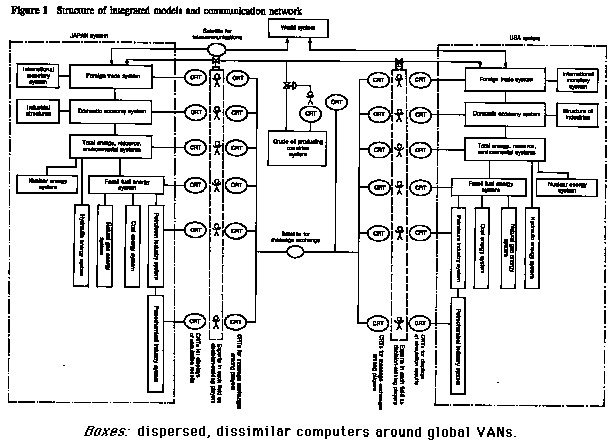 At this conference, I saw demonstrations of ARPANET (the predecessor of Internet) and EMISARY computer mediated conferencing system (which later became Electronic Information Exchange System of New Jersey Institute of Technology). The ultimate goal of the Global Systems Analysis and Simulation Association in the U.S.A. (GLOSAS/USA) is to establish a Globally Distributed Decision Support System with distributed interactive computer gaming simulation system, for problem analysis, policy formulation and assessment, to be used for training of would-be decision makers in conflict resolution, crisis management, and negotiation with win-win cooperation. This is to be done with integrated use of distributed computer conferencing, databases and simulation systems among various countries. Several systems will be interconnected to form a global neural computer network [a term coined by me in 1981]. The total system will act as a single system with parallel processing of those subsystems in individual countries. Here each game player with his submodel and database corresponds to a neuron, TCP/IP oriented node to a synapsis, and packet-switching Internet the nerves of a global brain. "The Department of Defense is investing well over $1 billion in the development and implementation of networked distributed interactive simulation. This technology, which allows dispersed learners to engage in collaborative problem solving activities in real time, is now ready for transfer to schools and workplaces outside of the defense sector." How should I realize this daunting scheme? III. "GLOBAL LECTURE HALL (GLH)"
In the first decade since early 1970s, I helped extend the U.S. data communication networks to various overseas countries, particularly to Japan, and also helped de-regulate Japanese telecommunication policies on the use of email which has been emulated in many countries. I had a privilege of having a help from the Late Commerce Secretary Malcom Baldrige for my efforts. This message exchange system is depicted by lines connecting players in the center of SLIDE 1. Internet now covers 75 countries, and email has been proliferated in more than 150 countries. In the second decade, since email is only text-oriented without graphic and video capabilities, we developed "Global Lecture Hall" multipoint-to-multipoint multimedia interactive videoconferencing technology. We have conducted a number of GLHs, ranging from Korea, Japan, Australia, New Zealand, North and South America, entire Europe, Scandinavia, and Russia, with tremendous cooperation and help from educational, industrial, domestic and international governmental organizations. The GLH employed inexpensive media accessible to the less developed countries. We greatly appreciated "in-kind" services from various parties, such as NTU, INTELSAT, Hughes Communications, US Sprint, to name but a few. We shared free Sprint account privilege with many colleagues in Third World countries. These GLH demonstrations aroused awareness on technical and economic feasibility of global electronic distance education, thus, helped build a network of leaders in the global electronic distance education movement. They are becoming core group to form GLOSAS and GU in their countries. In the third decade, along with our U.S.-Russia Electronic Distance Education System (EDES) project, we helped establish the Association of International Education in Moscow with the Ministry of Science, Higher Education and Technology Policy of the Russian Federation. This is to later become a Russian Electronic University as a part of our Global University system. Others are Global University in Ukraine (GU/UKR), Global University in Costa Rica (GU/CR), and similar activities in Japan, Canada, Italy, Colombia, Poland, Latvia, Kyrgyzstan, etc. GU/USA has already gained wide support of prominent educational institutions, information technology specialists and industry in many countries, making this an international project to help Russia, Ukraine, other ex-communist, and the Third World countries. The students, faculties and researchers of our Global University system will be the "would-be" or "pseudo" decision-makers of our planned Global Environmental Peace Gaming exercises mentioned before.